Federal Housing Administration backed loans are popular with most homebuyers and refinancing customers. They allow a 3.5% down payment, allow refinancing without appraisal, and usually provide very, very low rates. The one falter in FHA loans is with its mortgage insurance. As compared to a conventional mortgage, USDA loans, and VA loans, FHA has costly mortgage insurance premiums (MIP). Paying these insurance premiums does not need to remain a permanent thing. Millions of U.S. homeowners are currently in the money with their mortgages and can refinance and take away their MIP. If you are paying an FHA MIP each month, you are truly paying too much. You should take a look at your payments and consider your options. Your obligations to the FHA MIP could be completed within the next 30-days if you take advantage of it. To understand exactly how FHA Mortgage Insurance Premiums work, you must first realize that the FHA does not purchase mortgages through banks. Instead, they insure these mortgages. These insured mortgages are known as FHA mortgages. The FHA is a backstop to the banking system for mortgages. Should your loan ever go into default, the FHA is there to repay the bank’s back. They are mostly self-funded, with defaults being paid from a mutual mortgage insurance fund. This fund is populated by the two insurance premiums that the FHA offers. The two types of insurance premiums are the upfront mortgage insurance premium known as UFMIP and the annual mortgage insurance premium known as the MIP. All of the insured mortgage carriers are required to pay both of these premiums, whereas the MIP can last the entire length of the mortgage. As a homeowner though, your mortgage belongs to you, allowing you to rid yourself of MIP. The FHA mortgage insurance requirements vary by loan type and length, but there are the two types of insurance required. The upfront MIP is 1.75% of your loan size. This amount is automatically added to your loan balance and is seen as you borrowing it from the start. If you refinance in the first 36 months of closing, you can be reimbursed part of your UFMIP by the government. This would be the unused portion of the insurance. Annual MIP is required for all FHA mortgages. The size of your premium will depend on your loan’s specific characteristics, and when you loan began. For example, the annual mortgage insurance premium for a loan from 2010 is different from the MIP for a loan from 2013. This is because the FHA has changed its annual MIP requirement multiple times since 2008. FHA MIP has changed 7 times in seven years for FHA purchase loans and for many of the FHA-backed refinances. However, there is a group of current FHA homeowners for whom MIP will stay low. Several years ago, to help U.S. homeowners capitalize on the lowest mortgage rates of a lifetime, the FHA passed a rule exempting long-standing FHA homeowners from increases to the FHA MIP. 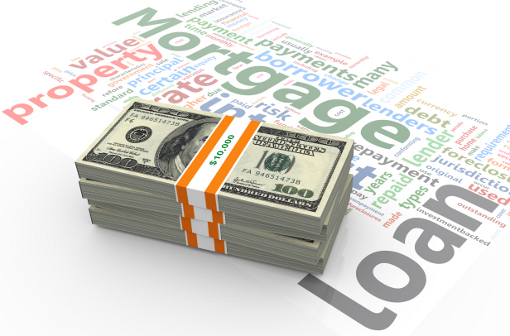 If your current FHA loan was endorsed on, or before, May 31, 2009, you can refinance for cheap. For such “grandfathered” borrowers, upfront mortgage insurance premiums drop for 1.75 percent to just 0.01%, or $10 per $100,000 borrowed. Furthermore, for eligible borrowers, annual MIP rates are just 0.55%, which can lower the “effective” mortgage rate of an FHA loan by as much as 100 basis points. For grandfathered loans, premiums are the same across all 15-year and 30-year mortgages, regardless of LTV. FHA mortgage rates are low but MIP tends to be costly and permanent. Thankfully, you have options. Loans, which pre-date June 1, 2009, can use the FHA Streamline Refinance to “grandfather in”; and everyone else can look at a refinance as well.